Winner of Gourmand's the Best in the World Award. It started as a personal project to explore China and the beginnings of a wine industry. A Chinese publisher asked me to write and photograph a table-top book. I wrote it for the Chinese market and is only available in China at the moment. China The New Wine Frontier. The manager at Changyu Balboa winery, way out in the western desert of China's Xinjiang province, holds a copy of my book open to the page showing sister winery Changyu AFIP Global. 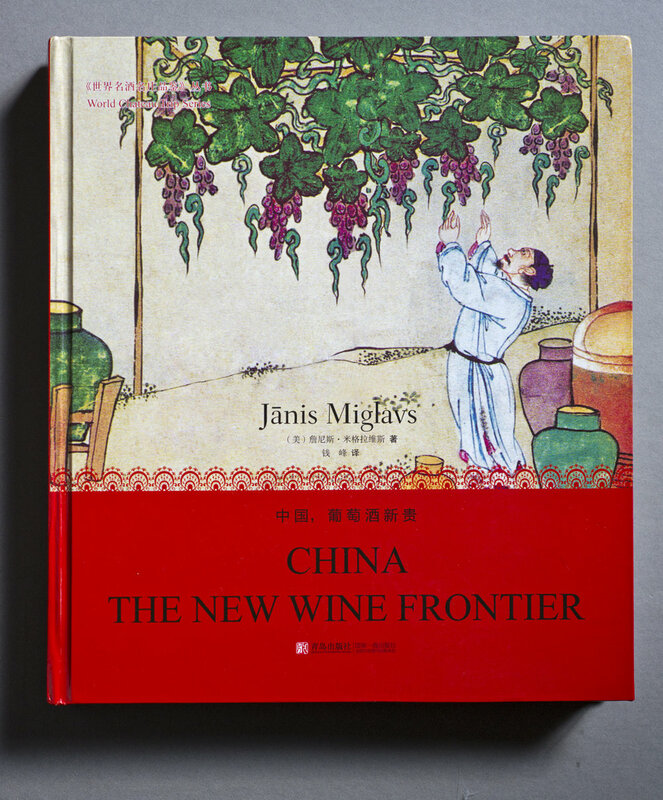 Aimed specifically at the growing national market, China The New Wine Frontier was written in both English and Chinese. One of the most meaningful book projects I've ever done. Even though it was published in 2008, it is a classic that quickly went into a second printing. 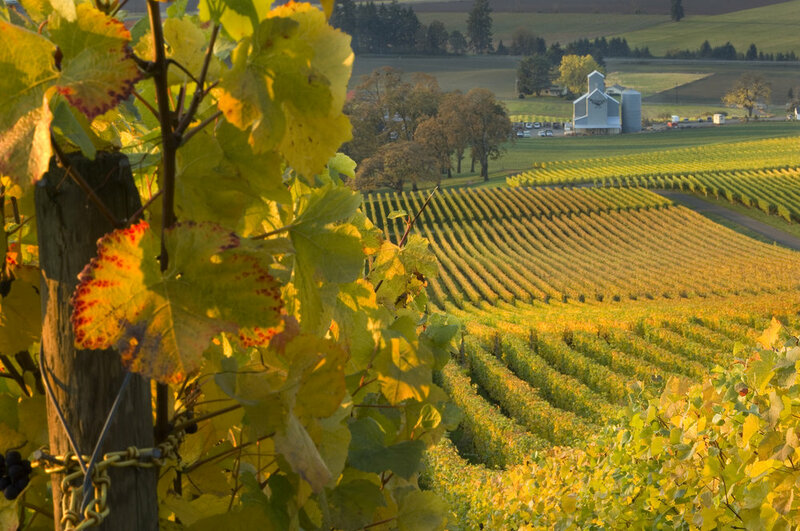 Oregon The Taste of Wine: Both a photographic tour through the burgeoning Oregon wine country and an in-depth discussion of winemaking in the region. Elegant in design and featuring award-winning photography, highlighting many of the most well known wineries as well as the smaller lesser well known gems. It is a tribute to both the pioneers and newcomers of the Oregon wine industry who have made a mark in the international world of wine. Oregon The Taste of Wine. 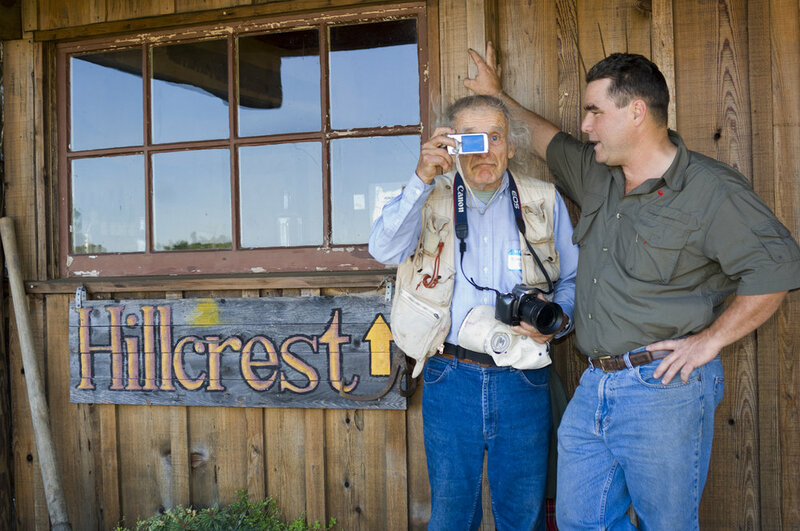 Somehow I was fortunate enough to interview and photograph people like Richard Sommer, a true pioneer of Oregon wine, whose name very few people recognize. I can only imagine Richard's emotions when, for the very first time, he went back with me to his historic winery he founded and finally sold to former Napa winemaker Dyson Demara. Obviously, Richard is clowning behind his camera to hide his feelings of history and loss. This is the kind of material in Oregon The Taste of Wine. I had been photographing vineyards on my bicycle routes when I suddenly realized that they made incredible landscapes. I called Chronicle Books to query about doing a book on Oregon wineries. After seeing my images, they thought it was a great idea, but insisted that I include Washington state wineries. After negotiating 2 1/2 months on the contract, at the last minute, Chronicle wanted to include Okanagan in BC, Canada. Since lots of photography needed to be done before winter set in, I didn't have the time and had to hire a writer. 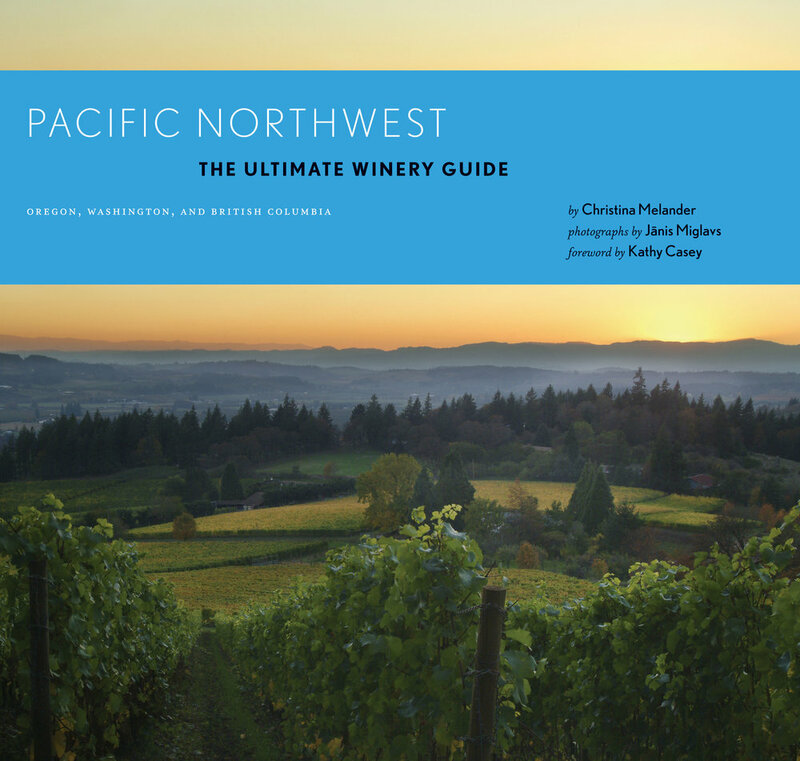 A reader's comment for the Pacific Northwest The Ultimate Winery Guide: Get this book if enjoy looking at good photography and want to see what the area looks like. Do not get this book if you want to know the location and background of every single winery in the area (honestly, there are better ways to get this information). This is a book you will keep around on the coffee table for years as opposed to the typical winery guide book which can get out of date in only a few years.